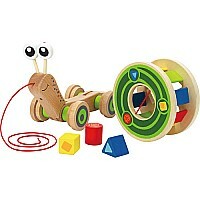 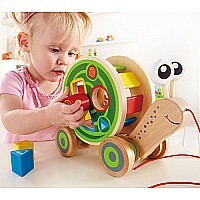 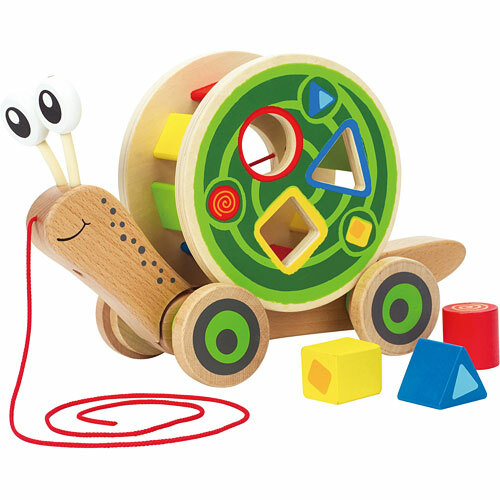 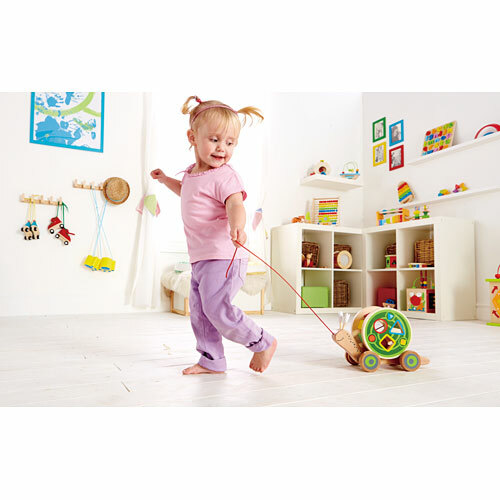 Learning at a snail’s pace means something very different, with this classic pull-toy that encourages mobility. 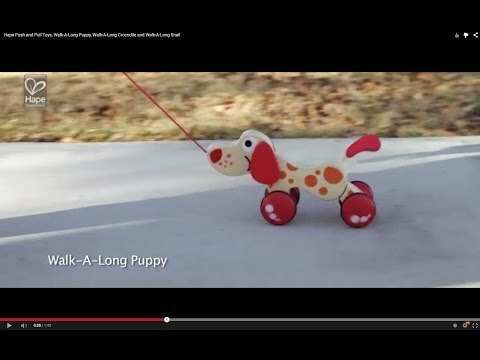 This guy is a multi-tasker. He accompanies baby when walking or crawling–and keeps a shell full of wooden blocks, housed in a shape sorter. With or without his load, he and his owner are sure to become “fast” friends! 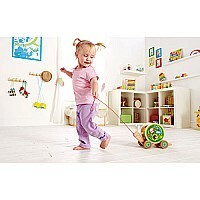 From Hape Intl for ages 12-48 mos.